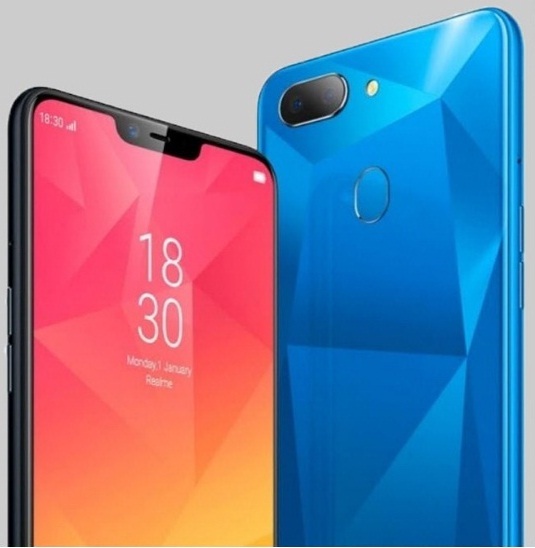 Realme a sub-brand of Oppo has earlier released successful smartphone Realme1 and we heard that the brand will launch Realme2 phone anytime soon. We got some leaks of its image / photo, key features, specifications and other unofficial detail. The Realme2 smartphone seems top-notch design beside most features packed device compare to its earlier gadget, Realme1. However, we would get Realme2 smartphone latest news anytime soon. We would update it you as well. When we saw the Realme1 phone in the beginning then we just recalled about OnePlus and its first OnePlus1 smartphone history that remind us. We would furnish the detail of Realme2 specs and features anytime soon and we also publish right now unconfirmed feature and specs of the subject gadget. The phone seems powered by MediaTek Helio P60 processor paired with 4GB of RAM and other variants. The phone might run with the Android Oreo which can be upgradable to latest Android Pie operating system. There will be fingerprint sensor in Realme2 which was not in the case of Realme1 phone. This is one more addition features even if you observe the leak images of Realme2 device. Realme2 phone price: Approx INR 14999 starting (unconfirmed). Tips: We have personally enjoyed Realme1 smartphone and the next one will also be the best phone compare to its leaked detail.